Home » News » This is Air France!!! After receiving wrong code from the unidentified aircraft, the IAF (Indian Air Force) fighters are rushed to take off into the indian sky early this morning. 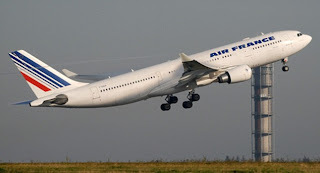 It was a flight from France airliner Air France Airbus 343, which switched on a wrong IFF code. A fews miniute later, the mission was terminated as the aircraft changed to the right codes. IFF codes are to help ground control to differentiate between friend and enemy aircraft. The France aircraft enroute from Paris to Bangkok and had entered Indian airspace after flying over Lahore in Pakistan. Thank you very much for your visit and it means a lot to me. Please excuse me for my poor english. No Comment to " This is Air France!!! "